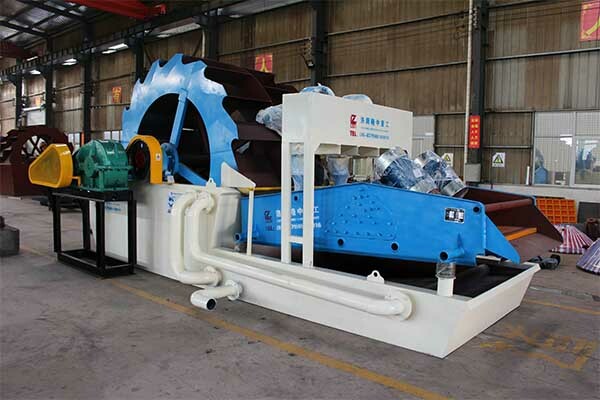 The sand washing machine with dewatering screen is also called wheel sand washing machine or bucket sand washing machine. It adopted advanced technology at home and abroad, and combined with actual experience in of sand and gravel industry. It is commonly used in sand processing industry now. It is especially suitable for washing river sand, artificial sand and stone powder. It is widely used in construction sites, sand and gravel plants, mixing stations, beam yards, dry mortars, prefabricated board plants, railways. , bridges, hydropower station concrete dam site and other industries. 1. The impeller drive bearing device is isolated from water and the water-receiving material, thereby greatly avoiding the phenomenon that bearing is damaged by water immersion, sand and pollutants. 2. 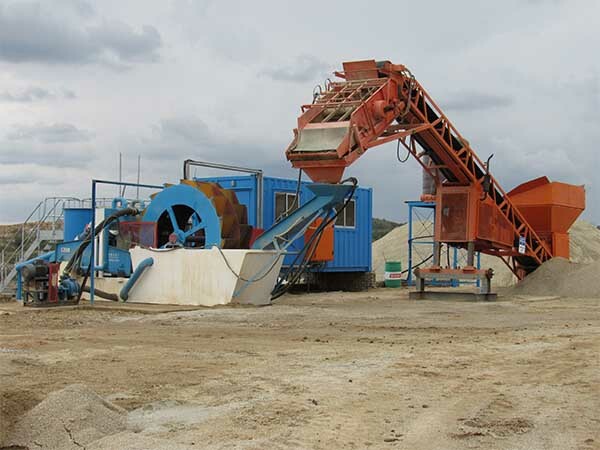 Low loss rate of fine sand and power, sand grading and fineness modulus of washed building sand reaches the national standard of “building sand” and “pebble for construction”. 3. Simple structure; almost no wearing parts except screen mesh; long service life and don’t need to maintenance for a long time. 4. Big capacity, low consumption. 5. A dense wear-resistant lining is attached around the impeller to reduce the damage caused by friction between sand and impeller during sand washing process.